As predicted, while I grapple with the gargantuan task of becoming a certified health coach, assisting Mirror Imaging at the height of the wedding season and simultaneously checking-out old tenants and finding new ones, I have virtually no time to develop new recipes for this blog. Indeed any attempt to write my blog is secondary to cooking our daily meal and getting enough exercise. Hence, I’ve gotta keep things quick and easy. It’s a blessing. My brain cells are getting enough of a work-out with coursework and exams so I’ll keep to the point of Primal Plate, which is to simply feature delicious recipes that help you transition from being a carb-dependent sugar-burner to a fat burning beast. Here’s one such recipe taken from Jill Dupleix’s book, appropriately titled: ‘Very Simple Food’. 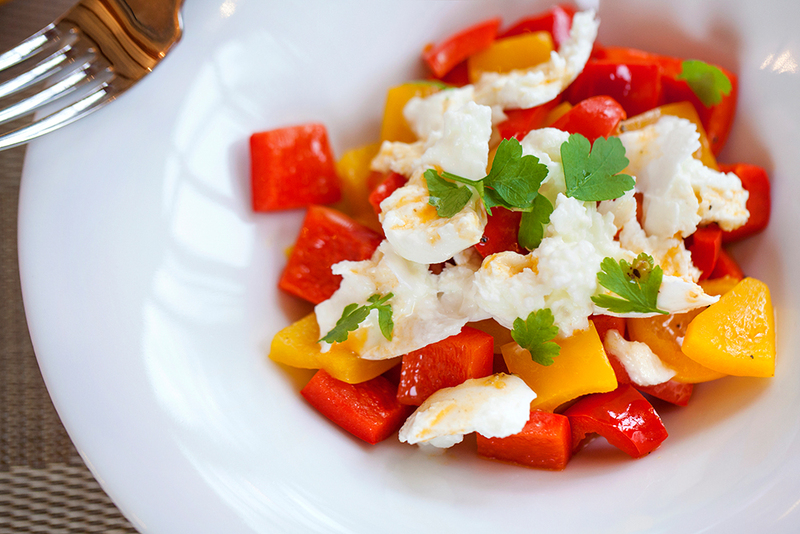 Torn Mozzarella and Peppers is like a bottomless pizza that sings out ‘Mediterranean’. With more than its fair share of vitamins and minerals - the brightly coloured peppers are a give away - this warm salad relies heavily on the best ingredients you can find. Fresh buffalo mozzarella is heavenly and its soft creaminess pairs beautifully with the slight crunchiness of warm, sweet peppers. This gorgeous salad only takes minutes to make and can be served either on its own or as a light main course accompanied by crispy Keto Bread Rolls, still warm from the oven. 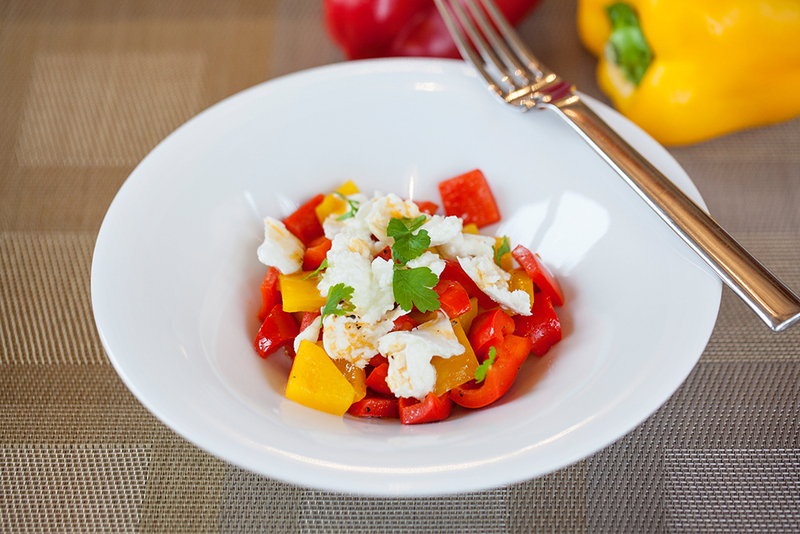 The easiest meal in the world to prepare and so very healthy and tasty to boot, Torn Mozzarella and Peppers is a yummy, Primal, low-carb winner. I think you’ll enjoy. 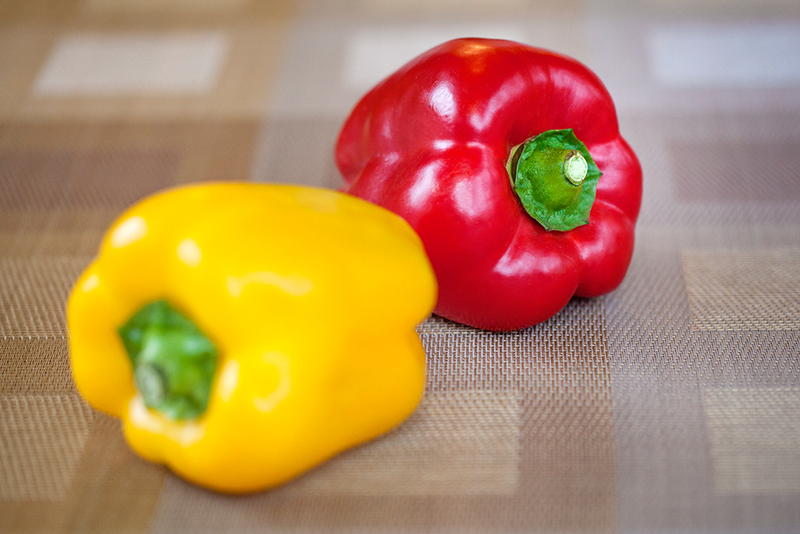 Holding the peppers upright, cut the sides away from the core and seeds, then cut each piece into 1cm squares. In a saucepan, combine the peppers with the olive oil, salt and pepper and stew gently over a low heat for 10-15 minutes without allowing the peppers to fry or brown. Remove from the heat and allow to cool until barely warm. Set out 4 shallow serving bowls or plates and using a slotted spoon, divide the peppers equally between the plates, saving the cooking juices/oil left in the bottom of the pan. Drain the mozzarella and pat dry with kitchen roll. Tear the mozzarella into small pieces with your fingers (I don’t discard the thick skin as the original recipe advises - it’s all good!) then distribute evenly between the plates, randomly dotting it over the peppers. Tear the parsley leaves into shreds with your fingers and scatter on top of the mozzarella. Drizzle with the reserved oil to serve. 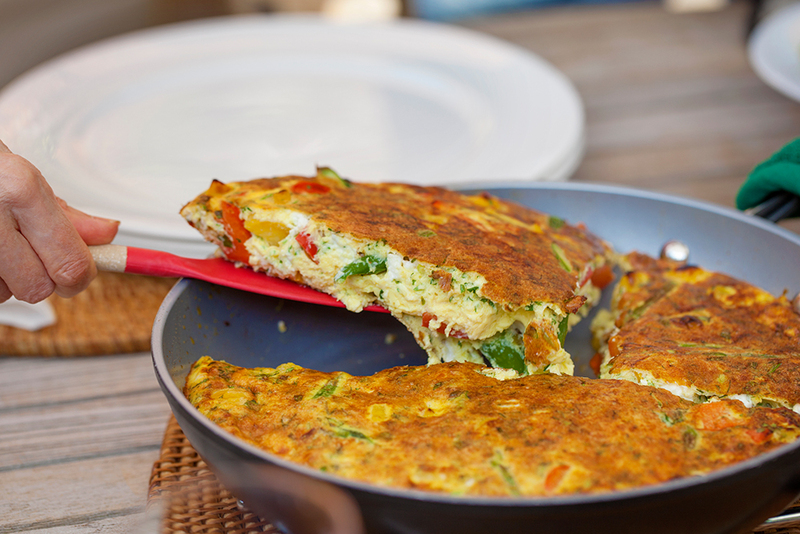 This recipe is a great example of how eating low-carb doesn’t mean eating no carbs. You easily consume plenty of carbohydrates (glucose forming food) for your body’s needs when you eat lots of fresh, organic vegetables grown above ground, small amounts of fresh fruit, nuts and seeds. A high-carbohydrate, high insulin-producing diet is pro-inflammatory, immune suppressing, and hormone balance disrupting, which increases the risk of assorted health problems and serious disease. Interestingly, the total amount of glucose dissolved into the bloodstream in a healthy non-diabetic is only about a teaspoon, or five grams. Exceeding that level quickly becomes toxic; fall much below that and you will pass out. It takes approximately 21 days to lessen your reliance on external sources of carbohydrates and become efficient at fat and ketone burning. If you want to be strong, slim, disease and wrinkle free for longer than most people believe possible, limit your carbohydrate intake to less than 150 grams per day. For crying out loud! How do I know that Christmas is already snapping at my heels again? Answer: When Waitrose start to email and text me that it’s time to bag my preferred Christmas delivery date before all their slots are taken. Apparently, if you don’t want to miss out and be forced to jostle with the rest of the shoppers in-store this Christmas, you’d better be one of the first in their virtual queue. The trouble is, to qualify you have to fill your shopping basket today with everything you might fancy eating in three months time! Looks like wild sockeye salmon, king Madagascan prawns and Nyetimber fizz - the ultimate English alternative to Champagne - are already destined to feature in our Christmas celebrations this year! As it happens, last Sunday was one of those all too rare occasions when both my lovely daughters and I sat down together for a family meal. So taken was I at the prospect of this mini social gathering that even though I am currently as run off my feet as it’s possible to be - think headless chicken - I still felt inspired to make something really special for us to eat. These Chocolate Truffle Pots With Raspberries were devoured with so much enthusiasm, I now also know what’s going to be the grand finale to our Christmas lunch! Organised by default, or what? To be honest, they’re such an easy, make-ahead dessert to simply grab from the fridge as you need them, they’ll probably make several dinner party appearances before the festive season gets underway in earnest. Besides, there’s nothing more un-diet-like than a rich, chocolatey pudding to show people how deliciously easy it is to eat yourself healthy and then stay slim once you’ve decided to ditch high carbohydrates and switch your body’s energy source from sugar to high quality fats. WARNING: If you eat lots of high-fat food whilst continuing to eat sugar and grains, you will get fat! Pregnant women and high performance athletes may be an exception, but for the vast majority of us carb intolerants, a high-fat, moderate protein and low-carb diet, especially in combination with gentle intermittent fasting, will burn-off excess body fat, keep you at your optimum weight, reduce chronic inflammation (the root cause of most disease) and help you take back your health and vitality. Sounds too good to be true but I invite you to give LCHF the chance to work its magic before the party season kicks off…by which time there should be significantly less of you to fit into your party clothes! Very good quality, organic chocolate and a mere tablespoon of organic maple syrup makes six individual Chocolate Truffle Pots With Raspberries that are neither too sweet or too bitter. A sophisticated, delectable dessert that keeps on giving with every luscious spoonful - dig deep for the pretty pink raspberry centre that pairs beautifully with the creaminess of chocolate truffle - and don’t let the big fat lie that you’ve been told, particularly about saturated fat, mar your enjoyment. Though everyone finds it difficult to believe, this heavenly, ‘fit for the gods’ high-fat pudding gets you over the psychological hump of diet deprivation and hangry sugar cravings to actually help you shed body fat. Do you really need any other excuse not to make it? Boil a kettle of water. Pre-heat the oven to 150℃ (130℃ fan) / 300℉ / Gas mark 2. Put the chocolate into a saucepan with the cream and place over a medium heat. Heat slowly to just below boiling point whilst stirring from time to time until the chocolate is completely melted and the mixture smooth. Stir in the liquid stevia, vanilla extract and maple syrup then set aside to cool slightly. 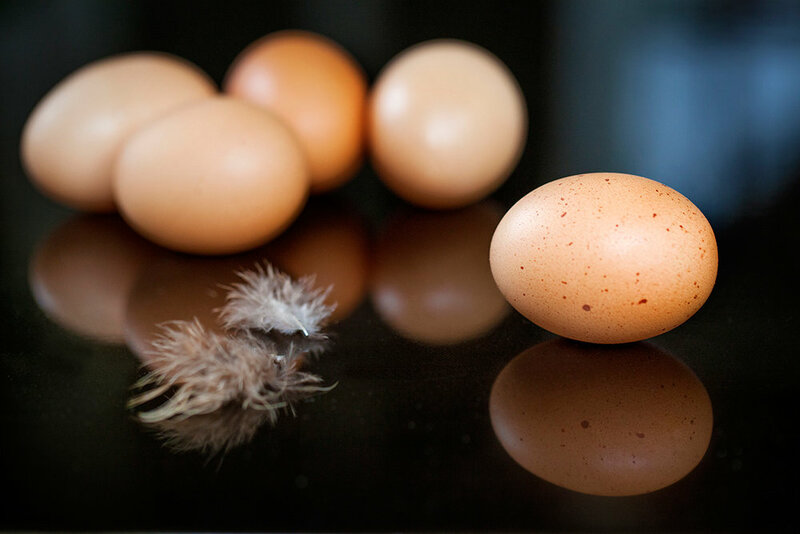 Place the egg yolks and Sukrin:1 into a bowl and stir together using a wooden spoon. Stir in the chocolate mixture and stir to combine. Divide the mixture between the ramekins (approximately 80g per ramekin), settle the mixture evenly into their pots by gently tapping the sides of the ramekins before placing them into a deep roasting tin. Pour enough boiling water into the tin to come halfway up the sides of the ramekins. Bake for 25 minutes. Remove from the oven and leave to to cool, then cover and chill overnight. Remove the ramekins from the fridge 30 minutes before serving to allow them to reach room temperature. Raw cacao is less processed than cocoa powder and so retains natural antioxidants and essential fatty acids. It has the same great taste as cocoa and is used in exactly the same way but for this recipe I chose to go one better. People often ask me if I believe in taking nutritional supplements and indeed I do. 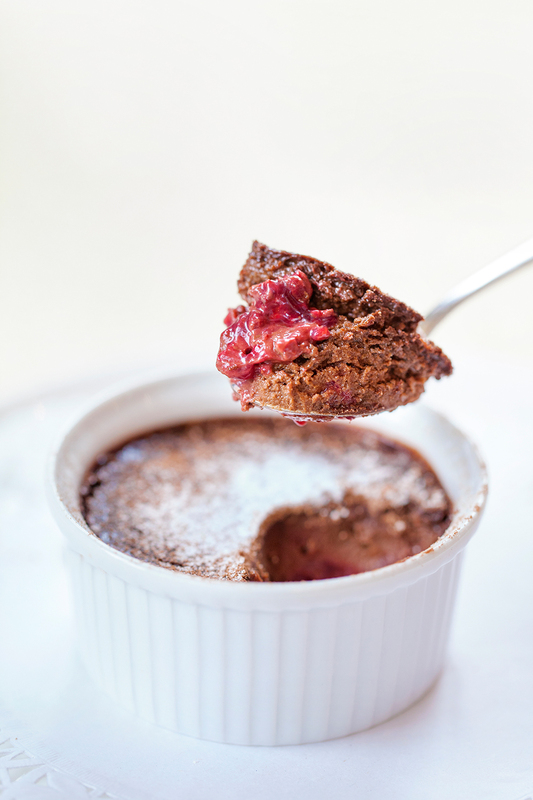 Never one to miss a golden opportunity, I used Miessence Berry Radical Antioxidant Superfood - a chocolatey-tasting food supplement - to dust my truffle pots. In fact, if you suspect your diet is deficient in fruit and vegetables, this tasty, high potency formulation gives you the antioxidant equivalent of eight servings of fruit and vegetables in every teaspoon! I always prioritise eating well to support good health so there’s no point in being cheap…er frugal, when it comes to feeding your body with the nutrients it needs. Along with Miessence Berry Radical antioxidants, which we usually make into a delicious chocolate milk sweetened with pure stevia drops, we also take a teaspoon each of Miessence InLiven Probiotics and DeepGreen Alkalising Superfood mixed with fresh lemon juice and water, each and every day. At least I then know that no matter how hectic or stressful life gets, my family is never going to be nutritionally short-changed. 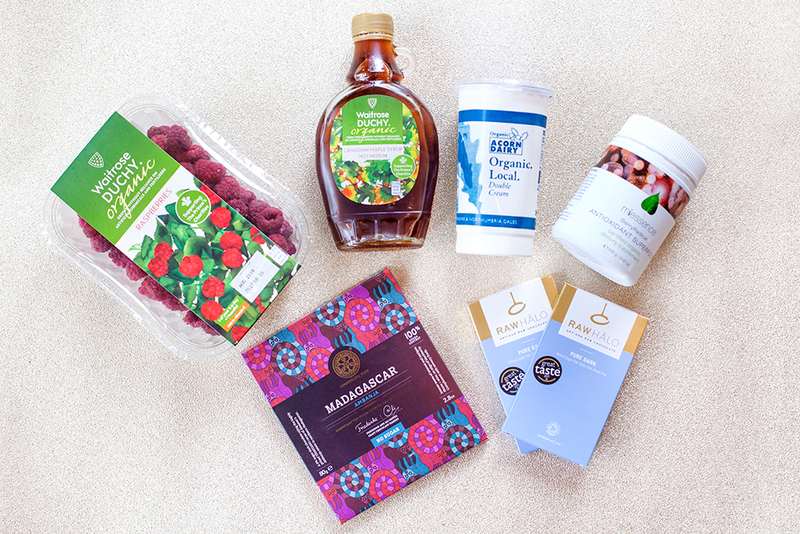 If you know you don’t always have the time to cook fresh, healthy meals, the Miessence Vitality Pack is the most convenient, natural way to reliably supplement an inadequate diet. I had a glut of 100% cocoa solids, no added sugar, organic chocolate bars given to me to sample for a birthday surprise. To be honest, I must be a 100% cocoa solids chocolate ‘wimp’ because I found only one of them smooth and mellow enough to eat straight from its wrapping! The rest will find their way into future Primal Plate recipes to make them even more low-carb. * If you prefer (it’s much cheaper), you can replace the two types of chocolate that I used with 125 grams of Green & Black’s 85% organic dark chocolate. 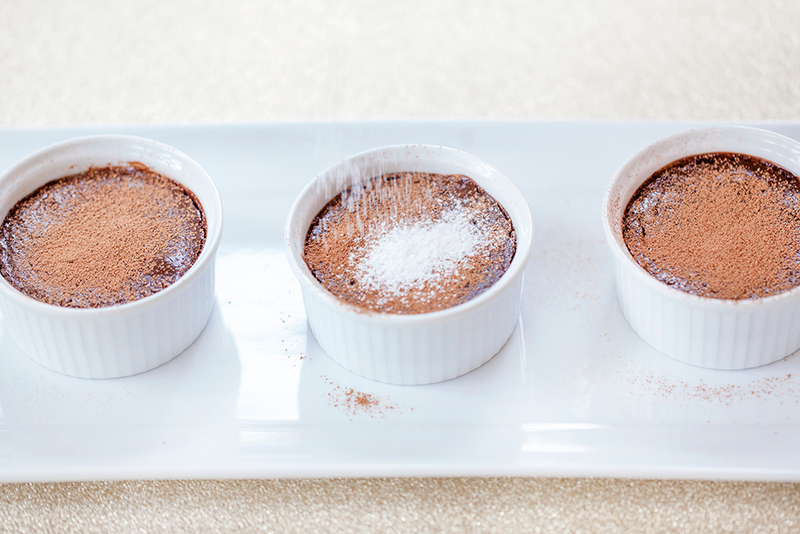 I haven’t tested it out, but I imagine to get a similar taste profile to my chocolate truffle pots (I don’t like overly sweet chocolate), you will need to add less stevia - try adding just 2 stevia drops at first, then taste before adding more to adjust the sweetness to your liking. The majority of people think my diet-led lifestyle, as documented on Primal Plate’s blog, is impossibly hard to follow. So at the risk of repeating myself, in today’s post I’m going to attempt to sort the ‘wheat from the chaff’ of excuses people give for turning a blind eye and continuing to make dietary choices that are clearly detrimental to their health. First up, “I’ve no time to cook”. Aside from eating raw food or at the very least throwing everything together in a blender to make nutritious soups and smoothies, if you won’t regularly cook real food at home, you’re in trouble. If you’re not willing to invest the time to eat healthy food now, you’ll almost certainly spend time later in a sickened state rueing the day you thought you had something better to do. My secret weapon in the kitchen is enlisting my husband’s help. Don’t try to go it alone, it’s much too much like hard work. I am as much a time-poor cook as you, but needs must if you want to safeguard your health and/or reverse obesity and other diseased states. “I can’t cook”. As someone who extrapolates information from unintelligible recipes and reconstructs them for Primal Plate’s website, I can understand that many people, having given cooking a go, have deduced from the results that they can’t cook. However, it’s not your fault if the recipe you followed is just plain wrong, which they often are! All Primal Plate recipes are throughly tested before publication and we re-visit them - oftentimes over and over again - when cooking our own meals. In my absence, both my partner John and daughter Sarah faithfully follow Primal Plate recipes on their iPhones to both shop for and then produce the same delicious results. It’s comforting to know that if anything happens to me they’ll have a volume of healthy recipes to refer to that won’t ever let them down. If you can read, you can cook. “It’s too expensive”. Buying organic is something I’m really strict about - not just fruit, vegetables, nuts, seeds, meat, fish and dairy but also tea, coffee (made with filtered water), the wine we drink (very low sulphite) and condiments like salt, vinegar, pepper, other spices, herbs and flavourings. The same rule applies to all our personal care and household cleaning products etc. Whilst you can never avoid all the noxious chemicals man has devised in the name of profit and experimentation in this mad world (hello Monsanto/Bayer), you can at least limit your exposure by filtering out all those toxins in your food and drink, the air you breathe and what you absorb via your mouth (toothpaste etc.) and skin. What happens when you combine processed junk food, GMOs, antibiotics, agricultural chemicals, dodgy school dinners, fluoride-loaded water, chemical-based prescription medicines and toxic vaccination programmes? God only knows, but there are people and corporations that are hell-bent on de-populating the earth, and it seems to me that they have the process well in hand! Eating mostly fresh, raw, organic whole foods and going ‘green’ may cost a little more money but it is an act of defiance in support of the environment that can help prevent disease, keep you out of hospital and extend life. What price good health? You decide. “A high fat diet makes you fat”. No it does not. Eating foods that are high in healthy fats fills you up and makes you want to eat less, which aids weight loss. Just don’t combine high-fat food with high-carbohydrate foods or too much protein. If you eat high carbohydrate foods and more protein than your body requires, it will simply convert most of those calories to sugar (glucose) and then fat. Increased blood sugar levels from whatever source also fuels cancer cell growth. Since reading Fat For Fuel, my goal, which I track most days via myfitnesspal.com, is to eat a diet high in healthy fat with medium amounts of protein and low amounts of carbohydrate. The ratio looks something like this: 94g fat, 65g protein and 49g carbohydrate per day. Anyone who wants to lose weight, combat disease, slow down ageing, boost their brain power and have more energy, needs to get onboard with the principles of Fat For Fuel and quit thinking that the body needs carbohydrates (glucose) for energy, or that eating low-carb means replacing carbohydrates with excessive amounts of protein (also glucose forming!) as subscribed to by followers of Atkins, Paleo and Primal. 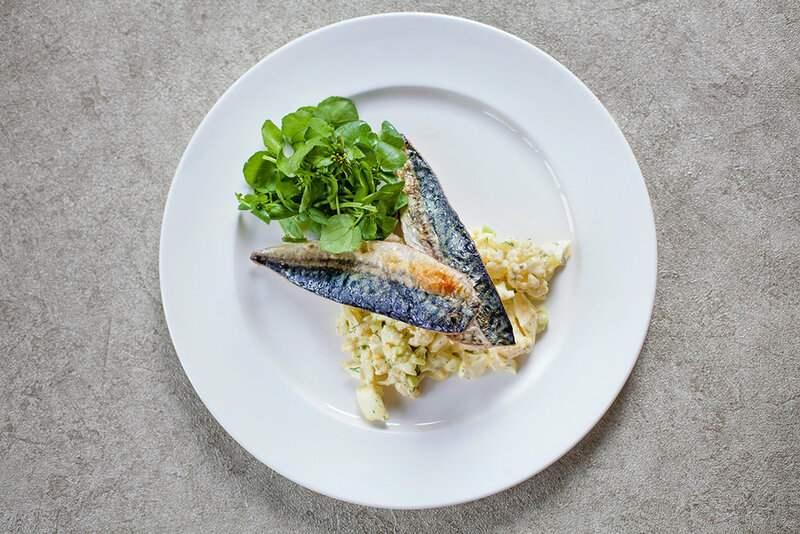 One of the concerns I had whilst making the adjustment to our family meals was how to keep up with John and Sarah’s requirement for the extra calories that I don’t need (ah, the joys of ageing!). To get our calorific needs more in alignment, I now practice intermittent fasting i.e not eating solid food for 16-18 hours in every 24 hours. However, these Chocolate Orange & Cardamom Fat Nuggets - little calorific nuggets made primarily from coconut and almond butter (generally referred to by ketogenic dieters as “fat bombs”) have been a real game-changer for us all. There will be many more keto-inspired (LCHF) recipes coming soon on Primal Plate’s blog, but for now these Chocolate Orange & Cardamom Fat Nuggets are the most enjoyable way I could think of to satiate your appetite for something sweet, provide bags of energy and to ease the process of switching your body from its reliance on burning glucose for energy to fat burning instead. Standing in for luxury truffles, after dinner petits fours, semifreddo, mini chocolate parfaits or - in its unformed state - a delicious spoon-from-the-jar chocolate spread, the sophisticated flavour combo of chocolate, orange and cardamom tastes like really expensive chocolate. Better than any chocolates I’ve ever tasted, these little nuggets of goodness are what you might call “happy superfood”. Pure gold for keto-dieters and also the health conscious, sports people and keep fit fanatics, these easy-to-make Chocolate Orange & Cardamom Fat Nuggets should help convince you that if you want to look good on the outside and feel good inside, fat is your new best friend. Half this recipe will make 30 chocolates, the other half a ready-to-eat chocolate spread. Very yummy, very moreish, Orange & Cardamom Chocolate Fat Nuggets are no longer a dietary stop-gap for John and Sarah but have earned their place in our house as a daily ‘must-have’ nutritional necessity. Place all the ingredients into a large glass heatproof bowl. Pour the boiling water from the kettle into a saucepan large enough to accommodate the bowl of ingredients. Place the bowl of ingredients on top of the saucepan of water to create a double-boiler i.e. the base of the bowl should not be in direct contact with the water. Set over a medium-low heat. Stir the ingredients together until everything melts into a smooth, creamy, pourable mixture that easily drops from a spoon. As soon as the ingredients are well combined take the pan off the heat. N.B. It’s important not to let the mixture get too hot as this will cause it to separate into an oily mess! To make a batch of professional-looking, individual fat nuggets, immediately spoon half of the melted mixture into a silicone chocolate mould (I used this one from Lakeland). Pour the remaining mixture into a Kilner/mason jar whilst it’s still warm. Cover and set aside to cool. Meanwhile, open-freeze the individual fat nuggets in their chocolate mould until solid. When completely frozen, unmould them and store in a lidded freezer-proof container in the freezer until you’re ready to eat them. Take them out of the freezer to soften about 10 minutes before serving. Tip: I place each frozen nugget on a dinky, decorative spoon to ‘come-to’ in readiness for serving; this means they melt in your mouth, not on your fingers! If posh presentation isn’t your thing, simply pour all of the mixture directly into a 500ml Kilner/mason jar and when it’s cooled down, store in the fridge. You can then spoon it out of the jar as required - i.e. eat it straight off the spoon, add to dairy or nut milk and whizz together in a blender to make chocolate milk, or use as a delicious chocolate spread on hot toast or bread. If the mixture overheats during the melting process causing it to separate, it can be saved by quickly whisking-in a couple of ice cubes. To fully enjoy these healthy Chocolate Orange & Cardamom Fat Nuggets, please ignore the recent attack made on saturated fat by the American Heart Association. In my view, it's no more than the death rattle of a desperate organisation that’s lost its credibility and should be defunct. Still, I enjoyed the furore they caused on social media last week! Most people know from experience that public health guidelines encouraging you to eat a diet low in fat and high in carbohydrate and to substitute natural saturated fats for processed, polyunsaturated vegetable oils, simply doesn’t work. It is a dietary formula that makes you sick and fat. Specifically, there never was, and still isn’t, a single shred of scientific evidence to support the demonisation of saturated fat as the root cause of heart disease, high cholesterol, clogged arteries or myocardial infarction. It’s all a big, fat lie! To read more, click here. Want a fast and easy, make-ahead, low-carb, festive dessert to rival Christmas pudding? This is it! With a flavour profile that’s light, lively and as sweet as it is tart, I’ve stolen this recipe from Annie Bell’s book ‘Low Carb Revolution’ then made it suitable for vegetarians/vegans by using agar agar rather than gelatine to make deliciously fruity, firm set jellies. This is jelly come-of-age. Rich in vitamin C, vitamin K, manganese and other antioxidants it looks elegant, tastes delicious and is as close to health food as you can get. 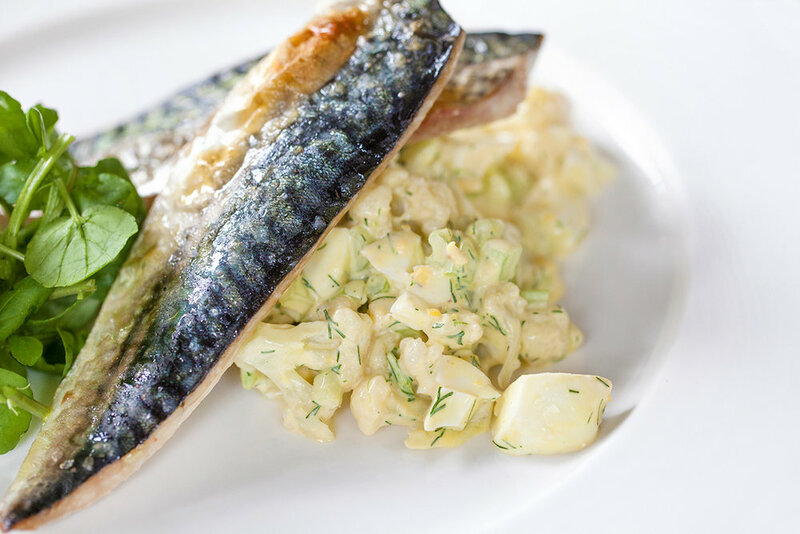 The perfect antidote to the groaning Christmas table and eating and drinking more than is strictly good for you! Pour the apple juice into a medium saucepan and bring to the boil. When at boiling point, turn the heat down and let the apple juice simmer away, uncovered, until it is reduced by half. When cold, sprinkle the agar flakes over the surface of the apple juice and then heat without stirring until boiling. Simmer, stirring occasionally until the agar flakes have completely dissolved, which takes about 5 minutes. Take off the heat and allow the apple jelly mixture to cool down in the pan for 15 minutes. Meanwhile, divide the blueberries equally between four individual glasses. Ladle or pour the apple jelly over the blueberries, which will float to the surface. Cover and chill until set. Decorate with a sprig of fresh mint and serve. Agar agar is a gelling agent, made from algae (extracted from seaweed) which is mainly used for setting jellies. It is a viable vegetarian alternative to gelatine, which is made from animal collagen. However, agar agar makes a distinctly firm-set jelly that won’t melt-in-the-mouth like gelatine-set puddings do. A very small amount of agar agar will set a large amount of liquid so you need to be very precise with your measuring. Clearspring recommend using 1 tablespoon of agar flakes to set 240ml of liquid. I used 2 tablespoons (slightly less) to set 500ml (i.e. the reduced quantity of apple juice in this recipe) and it still made a very firm jelly. When I re-create this dessert for our Christmas Eve celebrations I intend to use just 1½ tablespoons of agar flakes to see if this produces a slightly softer mouth-feel. If successful, I’ll update this blog accordingly. You can find agar flakes online (click the link above) in most health food shops and big supermarkets in the Japanese food section. Celebrate summer, when it shows up, with an ‘Italian-style’ meal of healthy, seasonal deliciousness. The shops are filled with a cheap and plentiful supply of courgettes in July and August, so now is the time to make them into the brilliant, low-carb, pasta substitute popularly dubbed “courgetti”. This fresh, healthy and surprisingly substantial dish accompanied by a selection of the most vibrant of summer fruits - sweet tomatoes - is an amazingly flavourful way to enjoy a taste of Italy without the high-starch hit you get from eating regular pasta. My eldest daughter Elizabeth provided the inspiration for Primal Plate's tomato salad recipe. Last weekend she served up something very similar at an impromptu family BBQ and it tasted so fresh and looked so colourful that I was reminded how versatile a simply prepared and beautifully presented plate of tomatoes can be. This salad is a great way to lighten-up all manner of dishes, or perhaps to eat on its own with some fresh goat's cheese with grain-free bread to mop up the juices. 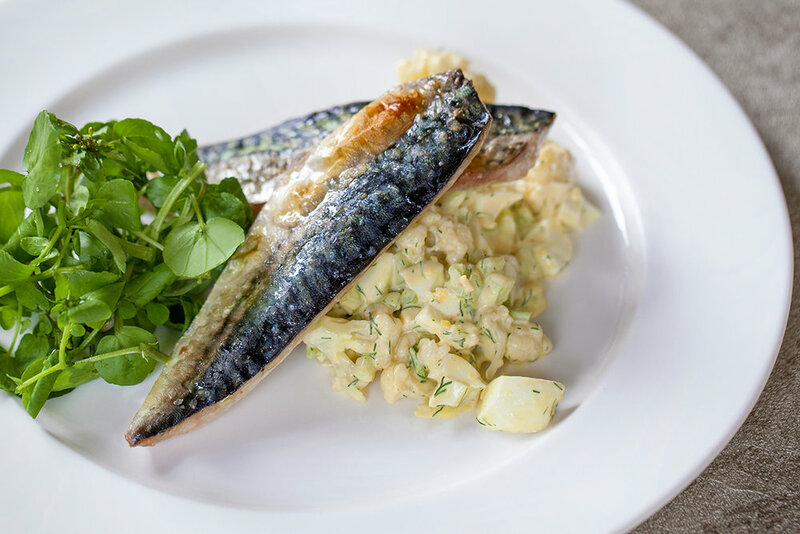 Quick, light and super-easy to make, this lovely combo is my idea of summer on a plate! 4 medium-large, firm, flat (not curved) chunky courgettes - size and shape matters! Boil a kettle-full of fresh water. Pre-heat 4 individual pasta bowls. Measure the frozen peas and broad beans into two separate heat-proof jugs or bowls. Pour the boiling water from the kettle equally over the peas and broad beans and allow to stand until they’re defrosted. Prepare the courgettes by washing them and spiralising into long thin spaghetti-like shreds - alternatively, this can be done with a knife by cutting them into long, thin strips. Drain the defrosted peas through a sieve and tip them into a clean bowl. When the broad beans have cooled down, drain them too before popping them out of their tough outer skins between your finger and thumb straight into the bowl with the peas. Trim the bottom of the asparagus tips - it’s not necessary, but I also like to peel the bottom third of the stems with a potato peeler. Boil a second kettle of water. Heat the cream with the lemon zest in a medium-large saucepan over a medium heat until it comes to the boil. Turn the heat down to simmer and continue cooking for 3 minutes. Cover and set aside. Meanwhile, pour the boiling water into the bottom of a steamer, then put the asparagus tips into the steamer basket, cover and steam for just 1 minute. Remove the asparagus tips from the steamer with a slotted spoon into a bowl of cold water (or put into a sieve and run under the cold tap) to ‘set’ their bright green colour. Drain and dry on kitchen paper. Cut the asparagus into 3 centimetre pieces (or in half) and then add them to the bowl of peas and broad beans. Reserve 4 sprigs of basil then strip the leaves off the rest of the basil stems and tear them into small pieces. Set aside. Whisk the cream cheese, 80g of Parmesan and 30ml of lemon juice into the lemon infused cream and then over a medium heat bring the sauce back to just below boiling point. Taste, then season with sea salt and a good grinding of black pepper. Taste again and add a little more lemon juice if you think it needs it. Add the asparagus, broad beans and peas to the cream sauce and then over a low/medium heat, allow the vegetables to gently warm through - make sure the sauce gets nice and hot but don't let it boil. Bring the water in the steamer back to the boil, add the courgetti to the steamer basket, cover and steam for just 1½ minutes - no longer. They need to cook just long enough to lose their raw-edge and get hot but not so long that they become limp and soggy. Immediately tip the courgetti out of the steamer basket onto a dry, clean tea-towel. Wrap them up in the tea towel to absorb as much water as possible. Divide the drained courgetti equally between the 4 pre-heated serving dishes. Stir the torn basil leaves into the cream sauce and vegetables then ladle or spoon this on top of the courgetti - distributing the vegetables and sauce evenly. Sprinkle the rest of the grated Parmesan-style cheese over each serving and finish with a good grinding of black pepper and a sprig of fresh basil. Serve immediately with tomato salad. No need to peel or remove the seeds from the tomatoes. Wash and slice the larger tomatoes, removing the core at the stem end by cutting out a small ‘v’ at the centre of the bigger slices with the point of a small, sharp knife. Halve the cherry tomatoes. Layer all the tomatoes attractively on a large platter. Lightly season with sea salt and then drizzle over the olive oil and balsamic vinegar. Add a grinding of freshly ground black pepper and decorate with green and/or purple basil leaves. Serve at room temperature for a simply delicious way to enjoy all the nutritional benefits of sweet, fragrant tomatoes. Yum! If you prefer, you can substitute the frozen vegetables with 500 grams each of fresh peas and broad beans (weight before podding). Pod them, then cook in boiling water (or steam) for 3 minutes before draining well and adding to the cream sauce to keep warm.